The 8 week Mindfulness & Meditation courses are held in a variety of locations in West London, particularly the Twickenham, Isleworth, Richmond and St Margarets areas. The 8 week courses include a day retreat which consolidates what we have covered. On this course you will look at ways of moving from stress (psychological, emotional & physical) towards greater relaxation, elevated function and well-being. It is about simplifying things and becoming more comfortable with your life. 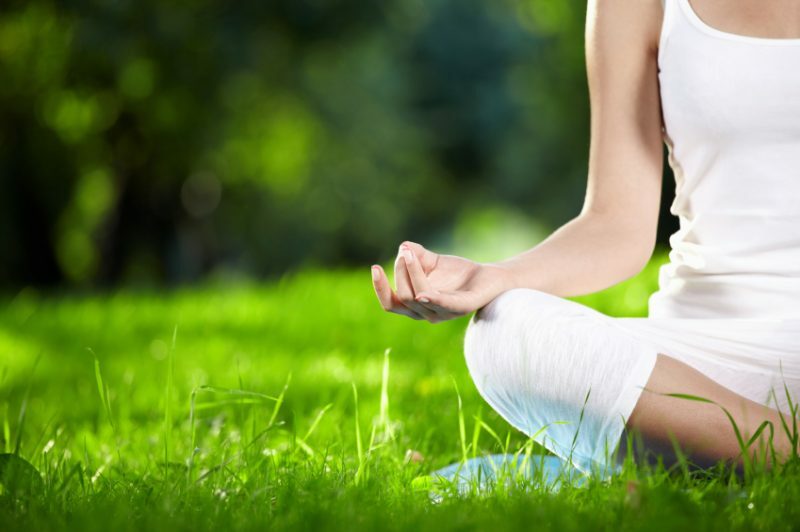 The course will run from 19:30 to 21:00 and include group discussion, meditation instruction and information on the principals and benefits of practicing Mindfulness and Meditation. The 8 week course is intended to increase your well being and covers basic orientation, dealing with stress, relating to pain, dealing with emotional challenges, role stress & time pressure, self-care, elevated function and changing your life. You will learn 5 different types of meditation, and ideas about how to incorporate what you learn into a daily home practice. The cost per person is £150 which includes all instruction, course materials and 4 guided meditations to keep. It also includes a full day retreat at the end of the course. I also provide a recording of each session. When I run the course without the day retreat the cost is £100. On this course you will learn practices that are good for your general well-being but the main aim of the course goes far beyond that. The meditations focus on personal insight, discovering your true nature and accessing your internal happiness. The course will run from 19:30 to 21:00 and has more of a zen flavour. It includes group discussion, meditation instruction and information on the principals and benefits of practicing Mindfulness and Meditation. The 8 week course will include a look at dealing with stress, physical and emotional pain (a partial revision of the topics covered in the well-being course), some examination of the history of meditation, particularly in the zen tradition, and a look at how we can boost vitality and energy through breathing and movement. I will be telling some zen stories and we will also look at issues of identity and getting underneath the roles we play in life. This course includes some of the meditation practices from the well-being course and some new meditations, and ideas about how to incorporate what you learn into a daily home practice. The cost is £150 pp which includes all instruction, course materials and 8 guided meditations to keep. It also includes a full day retreat at the end of the course. I also provide a recording of each session. This course is suitable for beginners, and for those who wish to do some revision and have a further look at the history and practice of mindfulness. If you are a beginner you will need to attend an Introduction to Mindfulness taster session in order to have some background info – price £10. This course runs from 19.30 to 20.30 and is a brief introduction to meditation and a chance to practice as a group. If you have done one of the mindfulness courses this is an ideal refresher course. We will examine the benefits of different styles of meditation and practice these in the class. The course will cover both concentration and insights practices as well as loving kindness meditation, zen meditation for grounding in the body and working with a koan. We will also explore the Four Foundations of Mindfulness. The price is £45 payable in advance. If you are unsure about what mindfulness actually is, I run ‘taster’ sessions which aim to introduce and demystify the subject. These generally last 2 hours and include a couple of guided meditations, some ideas on how to be mindful and a look at the background science that shows why mindfulness can be so effective. I also have a monthly meditation evening running in Isleworth. The cost of these is £10 pp and can be a great way of getting started & motivated. They are also a great way to re-connect with Mindfulness if you have not practiced for a while. Please contact me for group rates. If you are unable to attend any of these courses I can come to you if you have a minimum of 5 people who would like to learn mindfulness & meditation. Please enquire about prices. I am happy to teach in your front room. I also offer one-to-one personal meditation coaching and support for those who would like the benefits of individual sessions. Please enquire for prices. Please note that in general mindfulness and meditation isn’t typically helpful for people with mental conditions such as paranoia or schizophrenia, and may make such conditions worse. If you have any doubts about this please consult your GP.